Whether you are an experienced arctic traveller or a first timer in the northern regions of the world, we offer you an opportunity of a lifetime. 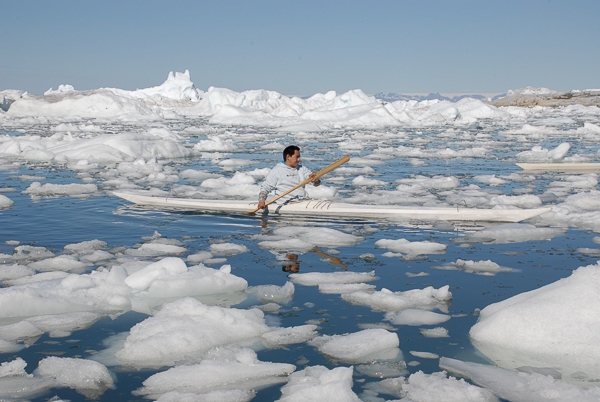 We offer round trips in the Disko Bay of Greenland. We tailor make round trips with a former local as your guide, you will get “under the skin” on the fascinating people. 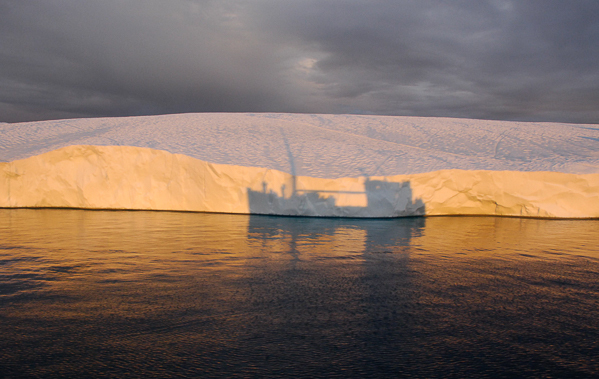 You will get closer to the extraordinary nature, with the biggest icebergs of the northern hemisphere as one highlight. The itinerary you find here is a suggestion; you can change according to your own wishes and dreams. Please contact us for more info. Private trips only, from June to August. Disko Bay is located about half way between South cape and Cape Morris Jessup, which marks the southern and northern end of this enormous island. 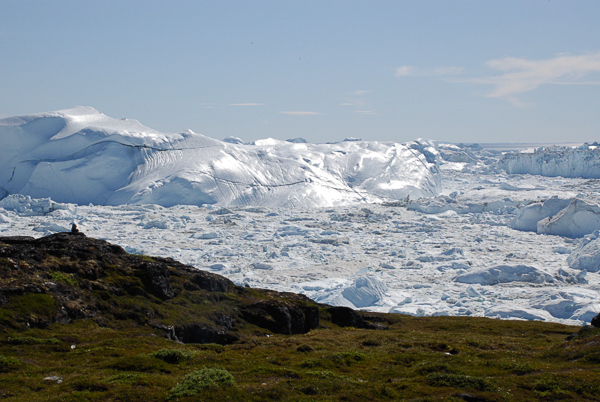 The bay is very sheltered and is within close proximity to the great icecap, which gives very stable weather conditions. 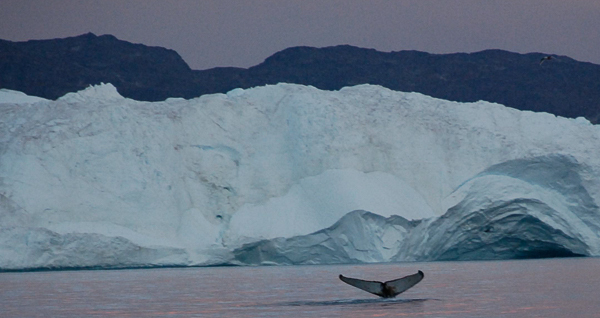 Most of all, Disko Bay is famous for the UNESCO protected Ilulissat Ice Fjord. This site is a veritable iceberg factory! The icebergs are born from the Greenland icecap and drift slowly out towards the mouth of the fjord, where they get grounded on an underwater bank. This natural phenomenon means that every day of every year there are giant icebergs stuck on land, which makes for a mind-blowing sight. This adventure will take you on a round trip with visits to some of the settlements in the area. It will also take you to Disko Island; an island made up from basalt and volcanic rocks. 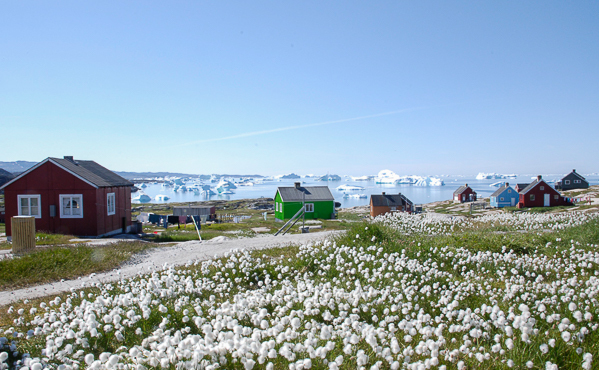 With its lush plant life, Disko Island is one of the greenest places in Arctic Greenland. It is also a fabulous place for hikes and a place where you can go all the way up to the Lyngmarks Glacier in the mountains, or you can hike along the coast and watch for whales. Ilulissat is the capital of the area, and with its 4500 inhabitants it is the third largest town in Greenland. After our visit to the Disko Island and the settlement, this is suddenly like coming to a big city. The town gives us a perfect staging point for hikes and boat trips. The Ice Fjord is of course the main attraction and everyone should experience the feeling of sitting in silence amongst the majestic wilderness while watching the giant icebergs drift past. Because we know that everyone travels to the Arctic with different dreams, we wish to meet as many of yours as possible. This is the reason we do not make a set itinerary. We want to give you, in a small group “the little extra”. We want to offer a variety of possibilities. So, if you are looking for photographic guiding or to experience the “Arctic Silence” in this remote part of the planet, then we can make an itinerary that meets all these wishes (prices will vary). No matter what your wishes are for your Greenland experience, you will have your Turgleder guide with you all the way. We will make all the plans and bookings in advance, so that you can focus on your holiday. Flight from Copenhagen to Kangerlussuaq, the main airport of Greenland and the gateway to the Northern part of the island. We will check in at the airport hotel/hostel, before going out to explore this former American air force base built during the Second World War. 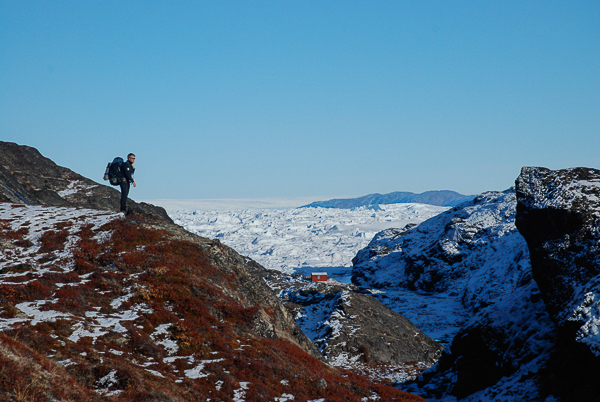 Today the settlement of Kangerlussuaq houses around 500 people. It is located far inland, at the eastern end of the great fjord. The location of the village means that it can get quite warm in the summer. 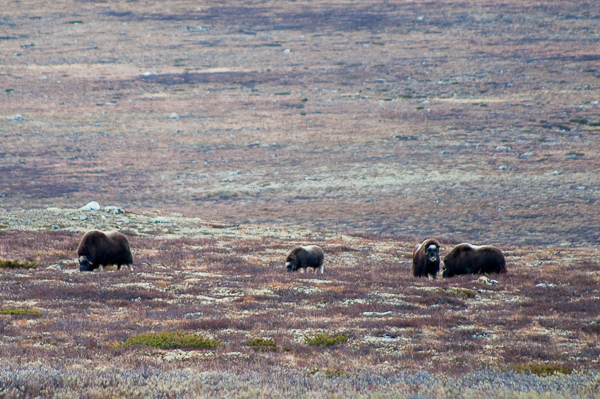 The area offers great hiking possibilities and is home to the main part of Greenland’s Muskox population. 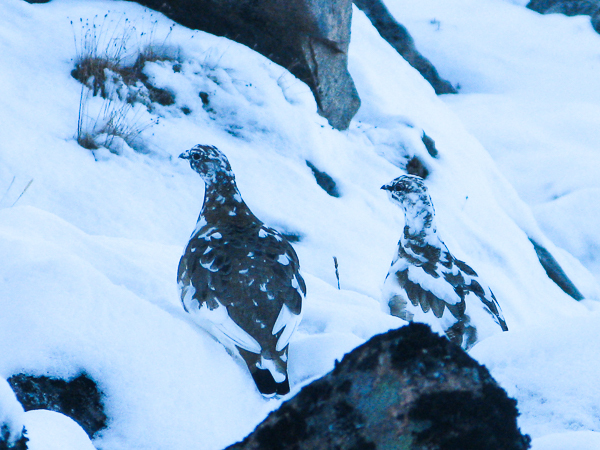 There is always a possibility to find them on and around the mountains. 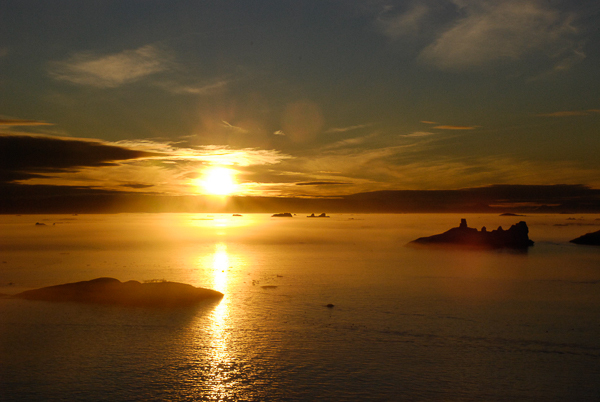 In the morning we fly to Assiaat, a settlement in the southern part of the Disko Bay. 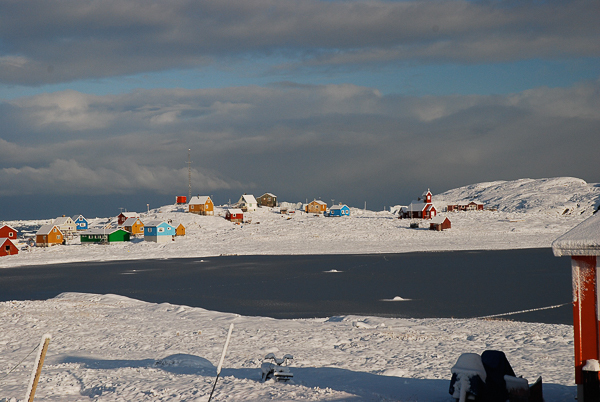 From here we travel by the “bus boat” to Qaqatarsuaq to the meet the locals on the Disko Island. 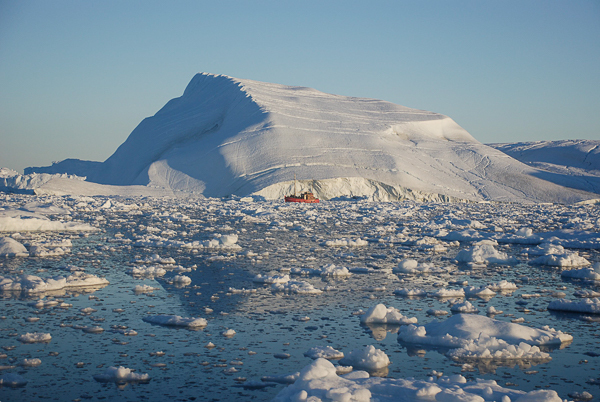 The boat ride will offer us the first sights of icebergs and maybe we will even find whales. Upon arrival, we walk to the hotel and get settled in. 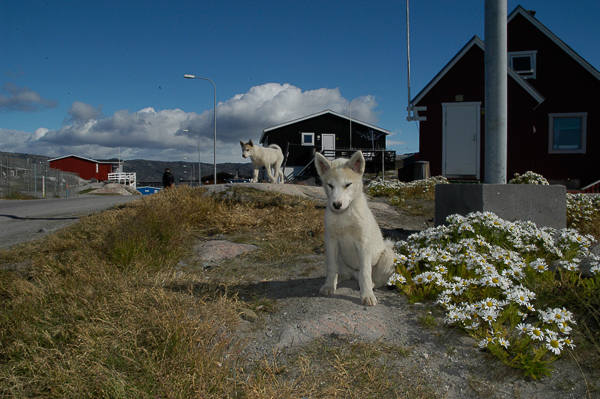 This is a very typical Greenlandic settlement, where the locals mostly earn their living by fishing and hunting. You will get a full introduction to life in a settlement by your guide while walking in the village. After this tour, you will have a deeper understanding of the culture and history of the area. 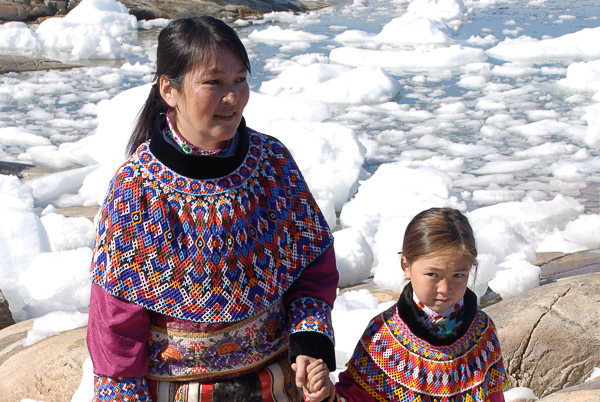 We might even go on a typical Greenlandic “kaffemik” with one of the local families. The tradition of Kaffemik is all about meeting family, friends and newcomers to the settlement and usually consists of different local delicacies - cake and coffee (lots of coffee!). 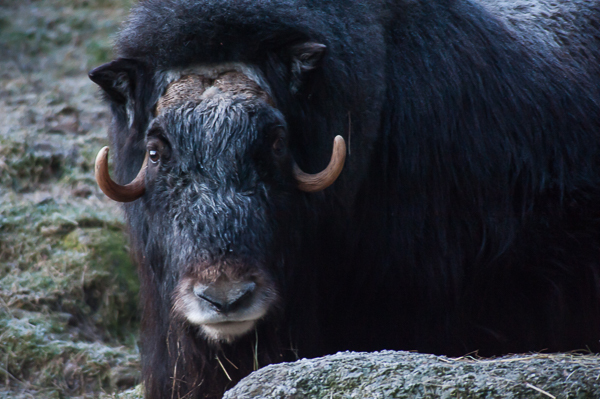 It is the perfect opportunity to get to know some of the locals first hand. Today we will stretch our legs. There are lots of possibilities for hiking from the village. One of the best trips is the steep walk up the mountain behind the village, up to the Lyngmarks Glacier. From the mountaintop is a wonderful view over the bay and we can even walk onto the glacier itself. This hike is a long day trip, easily 10 to 12 hours. 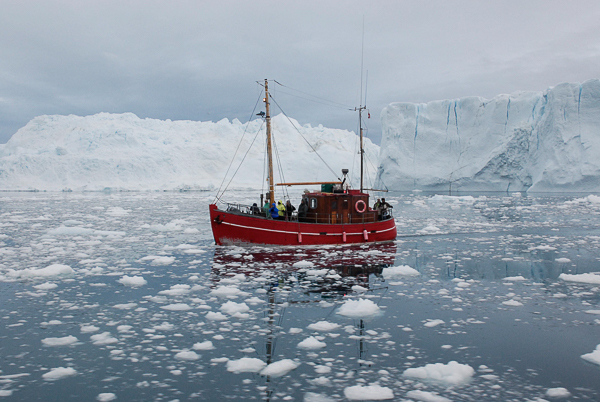 Again we will travel as the locals, with boat to Ilulissat. This will take a few hours and will take you closer and closer to the mouth of the Ice Fjord. 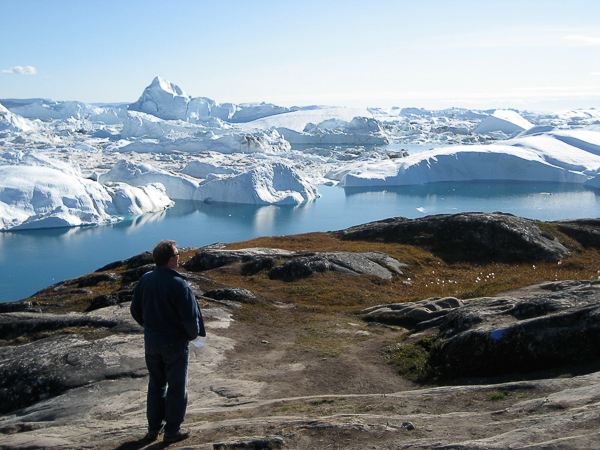 After landing in Ilulissat and checking into your hotel, you will have time to explore the town on your own. You can get your souvenir shopping done, visit the museum, drink a café latte in the local café or enjoy other “must do holiday activities”. Or you can explore other sights or activities. After dinner, we will make our way to the harbour once again, this time to go on the “obligatory” experience in Greenland; a boat ride among the enormous icebergs in the evening light. It is hard to describe the feeling and the sights on this trip, breathtaking doesn’t even come close. After our late night experience, we will take our time to relax in the morning. We can spend the day hiking along the Ice Fjord and watch the icebergs from land and in the light of day. The trip is about 4 hours in relatively easy terrain. The rest of the day you can spend on your own. If you have special requests your guide will help you with this. Today we recommend that you take a full day boat trip to the north, to the calving glacier front of Eqi. This is your possibility to see a proper glacier front from the sea. The Eqi glacier is a glacier known for its high activity and it is not uncommon to experience calving. Great pieces of the glacier front break off and tumble into the ocean with huge splashes and waves produced as a result. Lunch will be served on board the boat and you will of course have your guides with you to explain everything that we see. 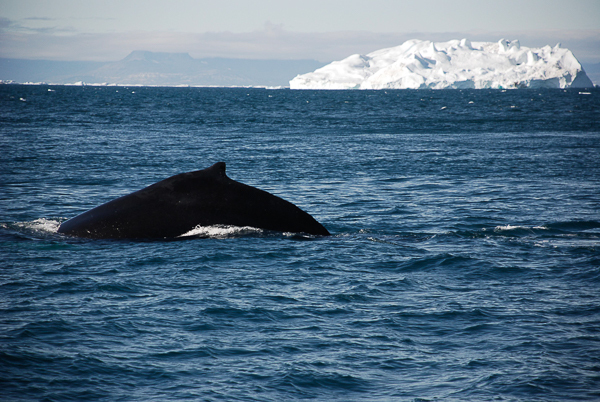 On the way we will sail past the Paqitsoq Fjord, an area where Fin whales and Humpback whales often “hang out” during summer. If we are lucky enough to meet these giants of the sea, we will of course stop the boat and enjoy the sights. After the long boat trip the previous day, we will go out for a walk. We will travel north along the coast to the settlement of Rode Bay. This is a full day hike in easy terrain. The landscape changes a lot on the way, from lush green tundra to grey rocks. We will bring packed lunches and take the time to enjoy the views along the way. 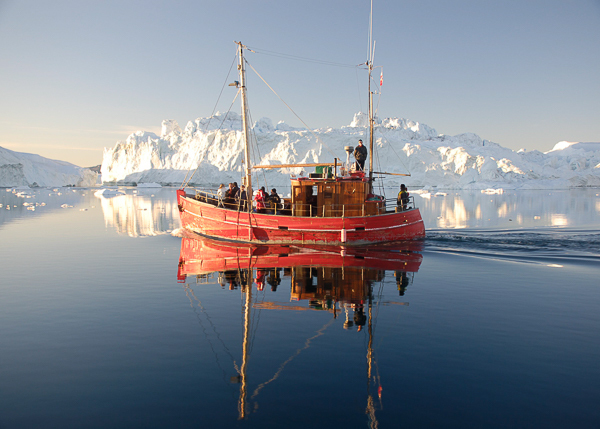 Once in Rode Bay we will be picked up by boat and taken back to Ilulissat. Tonight we will have our farewell dinner together. Today we will travel by plane from Ilulissat via Kangerlussuaq to Copenhagen and home. A equipmentlist will be provided after booking. If you need more information about this adventure before you make your reservation/booking, please feel free to contact us via mail@turgleder.com or call us on +47 90201194 (Kasper) or +47 90855556 (Liv). When you are ready to book, please go to “booking” under the «general information» tab and fill in and submit the booking/registration form. When we receive your booking/registration form we will reserve a place for you and send you a booking confirmation also including some questions if necessary. When all details surrounding your participation are in place, we will send you an invoice. Your reservation is valid for 7 days after the invoice is sent. For more information, please see our booking terms and condition under the “general information” tab. Note: If you do not receive a reply right away, please be patient with us. We might be out on other adventures without any internet connections. However, if you have not received a response within 3 days, let us know.